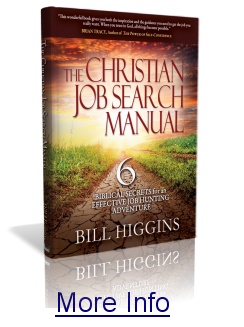 Job Searching Coach: Bill Higgins has been dynamically coaching individuals involved in a job search, job change, or career change on how to make these transitions effectively and successfully since 1995. He was recently designated “America’s Job Searching Coach” by an internationally known best-selling author and consultant. Since 1995, Bill has worked with over 5,000 clients in small-group and individual consultations to help them learn tips, techniques, strategies, and tools to make their job search more effective. His one-of-a-kind job search roadmap enables clients to identify their true uniqueness and career passion, capture that uniqueness in a world-class résumé, and package all they have to offer an employer in an exhilarating story to present during an interview. His roadmap simplifies the process of discovering and packaging their story. This enables clients to locate a position that allows them to express their passion and drive while finding personal fulfilment in their work. His roadmap ensures they address all of the milestones and requirements, and prepare all of the collateral and strategies they need to compete successfully in the job search market. Bill’s roadmap has taken over 20 years to develop, articulate, and implement, and he currently teaches clients in one-on-one consultations, as well as in groups during two-day workshops how to master and use these strategies. For individual clients his system includes regular meetings, personal support research, on-call texting, and on-demand telephone consultations. 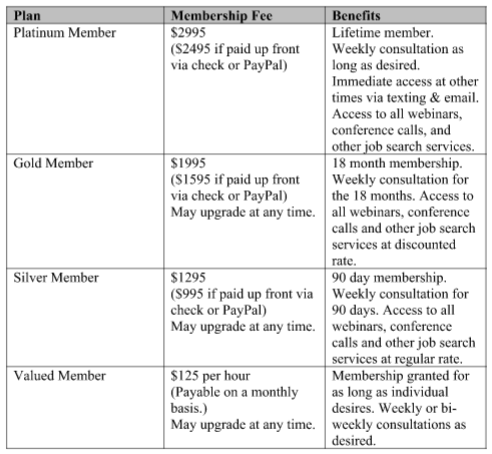 The schedule for public workshops, as well as other FREE resources, can be found on this site under FREE stuff, and he has on-going openings for individual clients as existing clients complete their program and find their desired jobs. 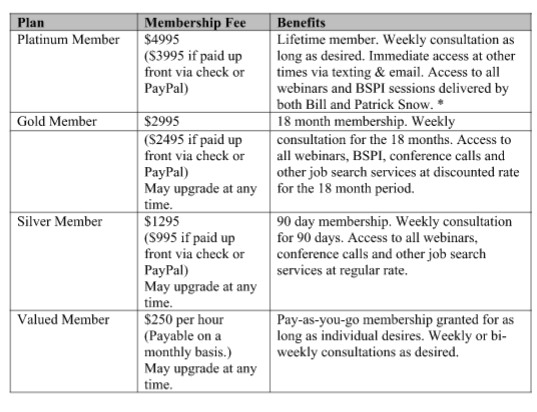 When it comes to choosing a professional consultant for your next in-house outplacement workshop, individual job transition or executive transition coaching, you’ll find no one more respected or successful—no one with the ability to leave your colleagues with such a renewed passion for life and a sense of vocational meaning—than Bill Higgins. 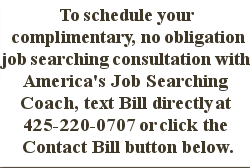 Since 1995 Bill has worked with over 5,000 individuals in small- and large-group workshops and individual consultations in both the United States and Canada to assist clients in their job searches. Whether your organization is one of the Fortune 500 or a local boutique firm, Bill will design an outplacement program tailored to your needs and colleagues. Whether your venue is a workshop of 10 or more, or a downsized population of thousands, Bill Higgins and his team of professionals can inspire, encourage, and bring renewed commitment to face life with passion. Bill’s style is to get right to the heart of the matter in outplacement, preparing individuals to conduct an effective job search and successfully transition to their next opportunity. To do that, Bill and his team provide practical tips, techniques, strategies, and tools to help your colleagues address their individual needs. They will walk away with practical answers to challenging questions, insight and strategies they will hear nowhere else. These techniques will give them an added advantage and deeper motivation in their search, and provide guidance to launch and engage in an effective transition. To contact Bill to discuss your next in-house outplacement workshop, individual job transition, or executive transition coaching needs, use any of the following to contact him and schedule a complimentary, no obligation consultation. Best Selling Author Coach: Bill Higgins is a certified Best Selling Author Coach by the Best Selling Author Institute (BSPI) and Patrick Snow. PATRICK SNOW is an international best-selling author, professional keynote speaker, publishing, speaking and book marketing coach. Patrick is author of the international bestseller, Creating Your Own Destiny, which has sold more than 250,000 copies in five language and 108 countries worldwide since its first printing in 2001. Patrick has helped 500-plus clients successfully publish their own books. Corporate Training Workshops: Bill has designed, developed, and delivered over 5,000 hours of corporate training workshops to organizations of every size and specialty, from aerospace to high-tech, from financial services to retail. He can tailor an engaging and motivating training program specific to the needs of your organization, using his corporate training experience and your SMEs as required.